The negotiations over paid family leave could be a blueprint for how things should — and can — get done on Beacon Hill. Deb Fastino, cochair of Raise Up Massachusetts, wasn’t sure if she could ever reach a deal on paid family and medical leave with the state’s major business groups. But last week, after months of intense negotiations, Raise Up and its allies reached an agreement with their counterparts to create one of the country’s strongest family and medical leave programs. The plan is part of a sweeping bill that will also raise the minimum wage to $15 an hour and institute a yearly sales tax holiday. Governor Charlie Baker signed the so-called grand bargain on Thursday. The lasting impact may go well beyond workers getting paid leave. The process could be a blueprint for how things should — and can — get done on Beacon Hill. “The biggest thing is the very real potential that these relationships and this process serve as a model for other sticky issues moving forward,” said Jesse Mermell, president of the Alliance for Business Leadership, one of the progressive groups that negotiated alongside Raise Up. Business groups on the opposite side of the table feel the same way. To understand how the two sides came together, it helps to start with a little history. About five years ago, when Fastino wanted to meet with the business community about an earned sick time law, the suits weren’t willing to hear her out. That left little choice but for Raise Up to initiate a ballot petition, which voters handily approved in 2014. To get paid family and medical leave done, Raise Up was once again threatening to go to the ballot in November. Business leaders had learned their lesson; they wanted a say this time, so they came to the table. Just getting the two sides together took several months of negotiations, which began last summer. That nudging came from two state lawmakers: Senator Jason Lewis and Representative Paul Brodeur, who cochair the Joint Committee on Labor and Workforce Development. The progressives and key business groups began meeting in November in a conference room overlooking the Common at the Massachusetts Business Roundtable. Each side had four negotiators. Representing workers: Raise Up, Alliance for Business Leadership, SEIU Local 509, and the Greater Boston Legal Services. Representing businesses: Associated Industries of Massachusetts, Massachusetts Business Roundtable, Greater Boston Chamber of Commerce, and the Springfield Regional Chamber. Lewis and Brodeur also attended the meetings, along with a constellation of staffers. There were ground rules, chief among them: no media leaks. In other words, if there was a policy disagreement, no negotiating in the press. They needed to trust each other. Another rule: This would be a true negotiation. “We had to move beyond this idea of here’s our proposal, slide it across the table, and we will get back to you in two weeks with a counter,” Brodeur said. At first, the groups met every other week, then every week, and as much as twice as week through the spring. Dunkin’ coffee and Munchkins, and the occasional pizza, fueled the sessions. If Raise Up’s Fastino was apprehensive, the first few meetings put the progressives at ease. They found common ground with their counterparts in wanting to get to yes. While some companies already offered paid family and medical leave, Raise Up wanted more employees to have access, in particular low-wage workers. A top priority for Raise Up side was getting job protection for workers who went on leave — the idea that employees can return to the same or an equivalent position. To Raise Up’s surprise, the business community didn’t put up a fight and agreed to this early on. The thorniest issue would be the opt-out provision that other business groups lobbied hard for. It was not in the ballot question, but was something other states had incorporated in their paid leave laws. In Massachusetts, paid leave would be funded in the same way as unemployment benefits: a payroll deduction paid by both employers and employees. The plan would provide up to 12 weeks of family leave that could be used to welcome a new child or to take care of a sick relative, and up to 20 weeks of medical leave to deal with a personal health issue. The plan would cover a percentage of wages, up to $850 a week. The opt-out clause would allow companies with paid leave programs that were equal or better than the state mandate not to participate. So they agreed to bring in economists and others to crunch the numbers. The data indicated the fund could be solvent even if some big employers opted out. In any other year, paid family leave would have been a stand-alone bill, but it got rolled into the grand bargain to raise the minimum wage to $15 by 2023, eventually eliminate time-and-half pay on Sundays and holidays, and create an annual sales tax holiday. In crafting such a bill, advocacy groups would drop three proposed ballot questions that would have lowered the sales tax, increased the minimum wage, and set up a paid family and medical leave program. By the first week of June, negotiations stalled on the minimum wage, even as progressives and the business groups hammered out a paid family and medical leave program they could all live with. With a July 3 deadline to finalize ballot petitions fast approaching, Beacon Hill needed to come up with a deal. The House and Senate worked it out and passed the grand bargain bill last week. 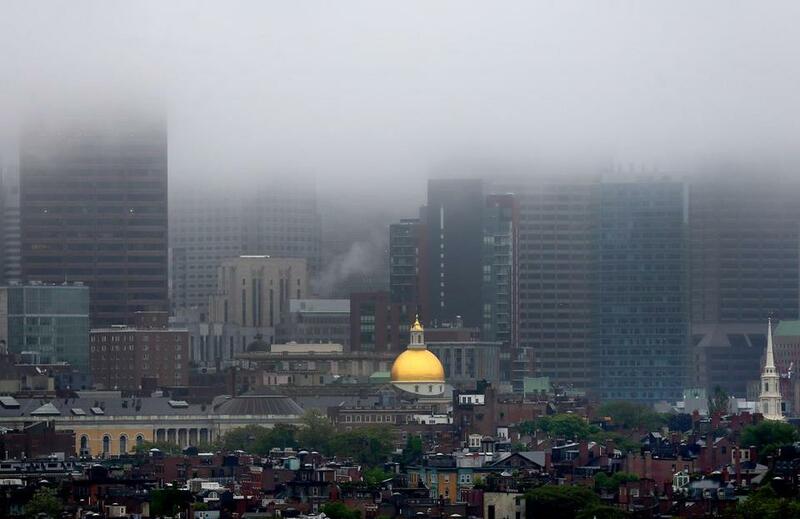 As dysfunction reigns in Washington, Beacon Hill can surprise us. It’s possible for people with different perspectives and priorities to find something they can both get behind.